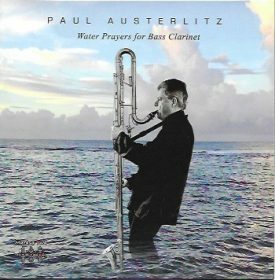 WATER PRAYERS FOR BASS CLARINET is part of a trilogy called Marasa Twa, which in the spiritual traditions of Haiti and the Dominican Republic are the magical triplets who manifest divine mysteries. In the liner notes, Austerlitz salutes the oceanic spirit that animates his muse and his ancestors and collaborators. Also, he invites listeners to “dip” into and savor the music’s oral tradition. The repertoire is eclectic and ambitious: Legba nan baye-e is a traditional Haitian Vodou song with merengue inspired clarinet riffs; Rara Indivisible is Haitian processional music (usually played during Lent) whose message promotes unity between Haiti and the Dominican Republic; Padre is a Finnish Waltz dedicated to Austerlitz’s paternal lineage (Finland/Romania). Also, his late spiritual father, Max Beauvoir and, mentors such as Bill Dixon and Milford Graves; Oriki is a traditional Vodou praise song and Bara Su Way Yo draws inspiration from drummer Bobby Sanabria’s interpretations of similar songs. Lapriye Djo, or Prayer to the Primal Wind deserves special mention for its large corpus of prayers called Lapriye Ginen. The prayers invoke the spirits of Ginen (mythic Africa). Also, they organize thoughts, establishes priorities, and solve’s life’s problems. Usually, the prayers are intoned in a half-spoken, half-sung manner but with Papa Max’s permission, Austerlitz interprets the prayers in a jazz style. Also, Austerlitz tips his hat to Jimi Hendrix (Funk-Ay-Be-Sea); the World Saxophone Quartet (Rara Remix) and the funky, freewheeling Boot the Boot. Austerlitz is joined by the pianist, Benito Gonzalez, the bassist Santi DeBriano, the drummer Royal Hartigan, the clarinetist Isaiah Richardson and the vocalist Rozna Zila, who do a fine job of collaborating with and interpreting Austerlitz’s vision. For context and translation read the liner notes. Also, keep in mind, like all spiritual texts, Haitian prayers and songs provide great wisdom but they are subject to interpretation. 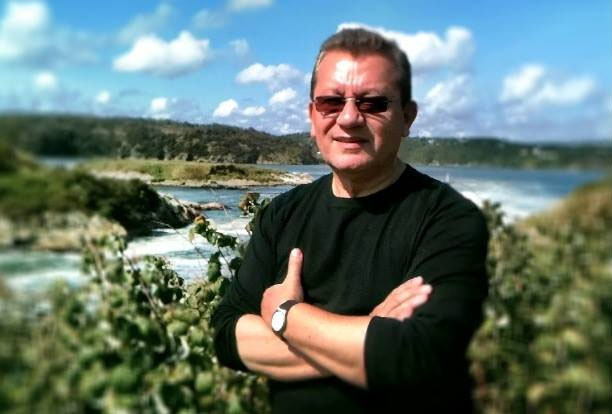 Paul Austerlitz has spent the better part of his life studying world music cultures. Also, wedding his artistic and spiritual paths with scholarly research and a focus on the music and spirituality of Haiti and the Dominican Republic. He hopes that the musical offerings will contribute to the ongoing struggle for social justice and bring unity to Haiti and the Dominican Republic. Earlier this year I had the pleasure of catching Paul and his band in New York City. Afterward, I sat in on an informative discussion that focused on the music and culture of Haiti, the Dominican Republic, and social justice. Given the complex relationship between Haiti and the Dominican Republic, there are no easy answers but I walked away convinced that musically and spiritually, the two have more in common than not. That’s one of the many benefits of listening to this kind of music. It expands the ears, the mind and provides food for thought. Highly recommended. TRACKS: Legba nan baye-e; Rare Indivisible; Finnish Waltz; Padre; Oriki; En-Art; Bara Suwa Yo; Prayer for the Primal Wind; Funkay-Be-Sea; Rara Remix; Boot the Boot; Lapriye Djo. MUSICIANS: Paul Austerlitz (clarinet, contrabass clarinet, and tenor saxophone); Benito Gonzalez (piano); Santi DeBriano (bass); Royal Hartigan (drum set); Isaiah Richardson (clarinet); Rozna Zila (vocals).